Hello friends, how are you? I just had the honor to visit Finland, with thanks to who brought me there to give a lecture at their fair and to participate on a panel with experts in social media and design like , , and . The ultimate cherry on top though was that Habitare further arranged for us to eat at some of Helsinki's best restaurants and they left their tour director, Annika Suomi, with us to share the city with her golden keys, contagious enthusiasm and fantastic energy level. Boy, did I love Annika - she just may be the best tour guide I've ever had in my life. She was also perfect with giving us time to look around and enjoy ourselves and though our schedule was full, the pace was perfect so we were not in vans very long and she didn't take us all over the country - we stayed in Helsinki and trust me, there was more than enough to do there. What a great city! So now, let me tell you all about at the and my private tour that Annika arranged since I was the last of the group to stay in the city an extra two days on my own. My Arabia tour, of both the museum and the artists' studios, was wonderful and I'll never forget it. is one of Finland's most respected and beloved tableware brands and has held this position for nearly 150 years. Finland has a very strong design legacy and Arabia is part of that, as a true pioneer of Finnish design. You can't walk into a Finnish home and not find something from Arabia there. Flea markets, second-hand stores, antiques dealers, eBay, you will find Arabia in all of these places in addition to shops all over the world. Then there is the second iconic Finnish brand, Iittala. 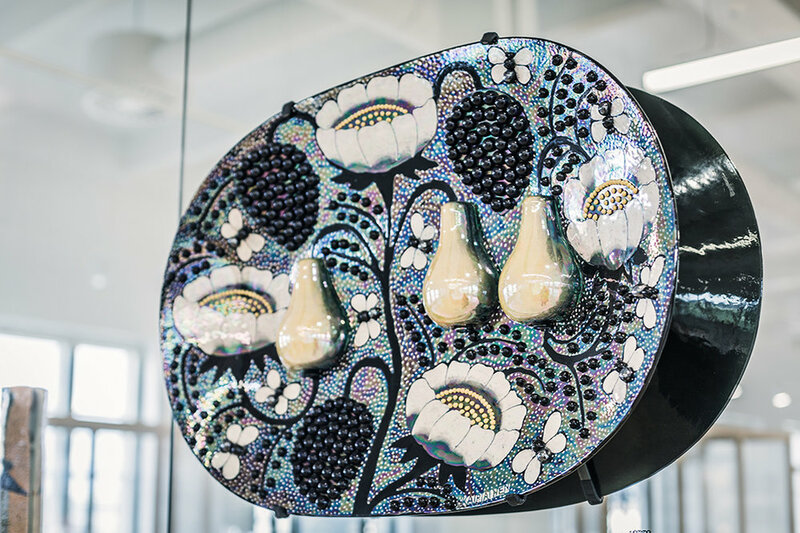 What started as a glass factory in , Finland, is also found in homes of design lovers globally, from glassware to kitchen cookery and decorative objects for other rooms in the home. I was invited to their glass factory but could not make it on this trip, though in the design centre on the 9th floor you could see some of the history of the brand, view iconic pieces and of course on the lower floor, shop for the gorgeous products of , including the beloved Alvar Aalto vase which I had the pleasure of also seeing very personally when I toured Aalto's private home in Helsinki just a day prior. Would you like to see the Arabia building and particularly, the museum located on the 9th floor of the located at Hämeentie 135 in Helsinki? Of course you would! In a follow-up post, I'll show you the artists' studios too where some of the ceramics for Arabia are conceptualized and later, put into production. The - in the museum on the 9th floor. Birger Johannes Kaipiainen, a great Finnish ceramicist and painter, did amazing work. A platter like this goes for around 10,000 Euros at a an antiques market today. His Paratiisi range is a well-loved classic of Arabia but personally, I love the original work they were modeled after best. Wow. Product timeline, very interesting to peruse. While at Arabia on my tour, I learned something else. Book character by Finnish illustrator Tove Jansson, had their first products at Arabia with figurines, dishes and mugs releasing in the mid century. Today, is hugely popular, especially to Japanese tourists. In fact, whenever I saw Japanese tourists in the city, they were holding bags from Arabia or checking out in the Arabia shop with loads of Moomin branded products. I bought my son's first good quality silverware set after my tour, with Moomin on the handles, and he loved his gift when I got home. He proudly uses them each day since. I hope that you have enjoyed touring one part of the Iittala & Arabia Design Centre with me today - the museum. Tomorrow, I'll share the studios were their artists create upcoming collections. Hello dearest cattledogs readers! It's here and I'm extremely happy to be back with my monthly column where I will be sharing my styling tips to make your home and daily moments pretty and 'Instagrammable'! I will focus on current trends, micro and macro tendencies, so you can expect to see a lot of what is currently considered 'Pinteresting'. Today I would like to share with you fashion icon and model photography. I'm sure you've noticed (you must have seen it around!) that fashion prints, model posters, black and white magazine pages or one's own photography is a current a big styling hit. 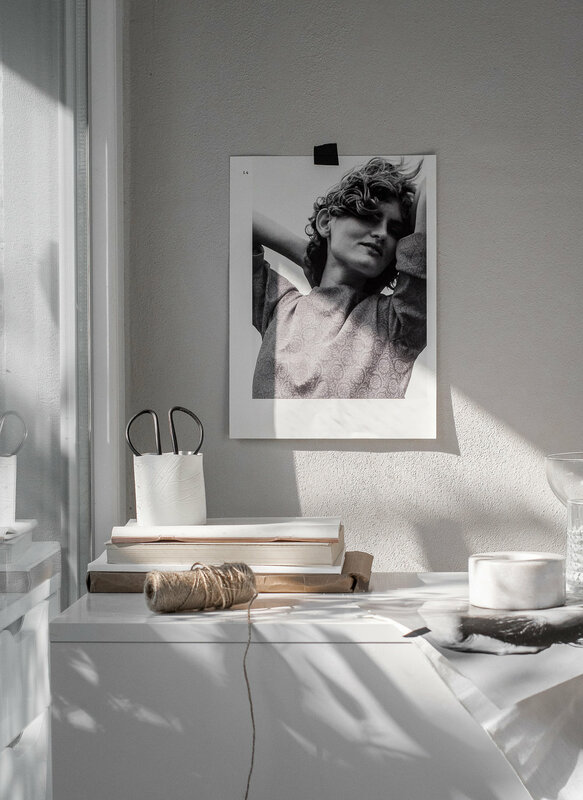 With b&w images, ranging from vintage shots of actresses to some of the most recognizable supermodels, appear in stylish homes being used as a great accessory to decorate walls, shelves, workspaces and even kitchen counters. A home’s style is defined by its details, because those little items are often what really makes a home personal and interesting. Try styling your home with fashion icon/model prints, model photography, magazine cut outs, posters or you might try modelling in the photos yourself, wouldn't that be fun? It does not necessary have to be a high-end fashion photo, it can certainly be you in the photo in an interesting pose then converted to a black and white print. 1/ Elegant Look - the most elegant style is to frame and hang prints on the wall. You can't go wrong with that. Black and white is timeless. Fashion icons and beautiful models never go out of style so prints are a great way to introduce a fashionable, even a bit edgier, look at home. Try browsing Etsy and search for - you will find tons of posters to choose from. Some of my personal favorites include those from . 2/ Gallery Wall - Since framed model prints look great, why not create a gallery wall and group them together? Galleries are usually tied together by colors, frames or a theme - in this case models, beautiful ladies, fashion could be the theme - a great opportunity to reflect your personal style. 3/ Effortless Look - Such prints are stylish on their own hence they look also great without frames, effortlessly displayed around the house. 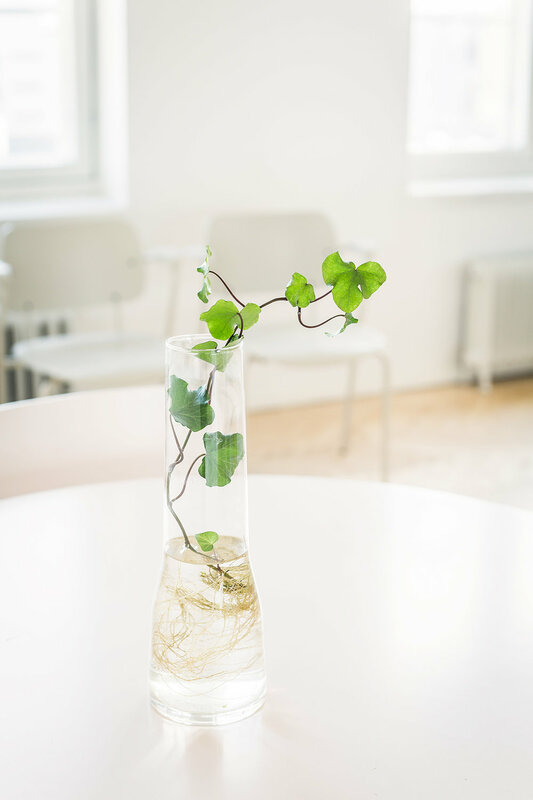 For example a print above your desk attached with washi tape, a photo taped inside of a bookcase or shelf, some on a mood board in your work space made from magazine clippings. This effortless look is my favorite way to display model prints, what about you? 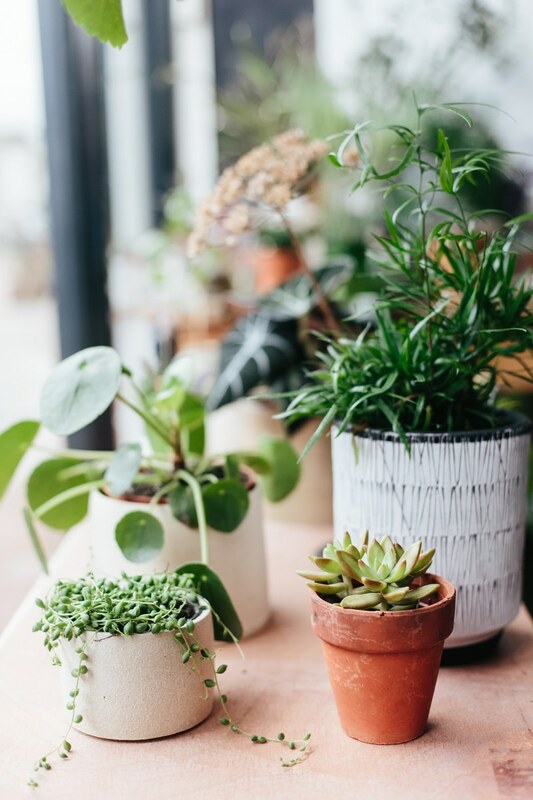 All of these ways create a lived-in, homey look which we all love, that's why Instagram became so popular. 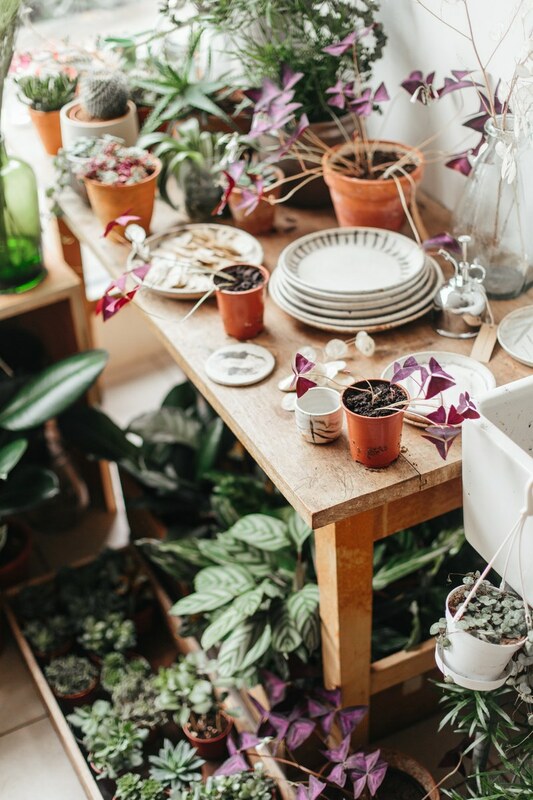 We love to peek into someone's home to see a current mood whether that be their work in progress, a creative desk, a mood board, so something else. Would you add something to this list? Do you like this micro-trend? Hello dear cattledogs readers, this is with a seasonal table decoration for your next gathering. But first, it's been awhile since my last column posted. Summer "happened“ in the meantime, one could say, but I'm happy to be back to inspire your tabletop decor. I can hardly believe summer is gone, can you? The temperatures in the morning here in Germany keep proving this a little more each day - Fall has nearly arrived! I suggest that we bring some of the qualities of Autumn to the tabletop instead of mourning summer because I actually like the month of September! I like watching late Summer turning into Autumn, the change of light and colors outside, the abundance of flowers, fruits and greens at the farmers' market. And of course - how much we yearn for cozy hours to spend at home! For my tabletop, I've combined several different types of tableware, grey glass, oak wood and linen napkins and a linen tablecloth for my September table to add a rustic twist to clear shapes. Once again my decoration is inspired by the Scandinavian Style and my beloved porcelain with a floral pattern in black and white. The flowers I opted for are Dahlias (of course! ), small Lilies, Gypsophila, Astrantia, Snowberries and various grass. As a small handicraft and DIY for you, I browsed my interior magazines for colors to match the table setting and made a simple leaf-shaped template and cut out a lot of paper leaves. Afterwards I sewed them together one by one using my sewing machine putting six single leaves aside for my guests as the place cards. By folding the paper a little on the seam, you will give the leaves an even better look. You can use the garland on a wall close to the dining table or to decorate the front door. This is such an easy and effortless idea that additionally keeps your wallets safe (or allows you to spend more on flowers, haha!). And it is recycling, isn't it? I would say "upcycling" so I can brag a bit (smile). I hope you like this month's column and I wish all of you beautiful, golden late Summer/early Autumn days! See you again next month! I am in Helsinki now but when I get back, I have to leave again and go to Sweden for work with the Swedish tourism board. I know, tough life. Right now, I have a few trips per month all the way until December 4th. Then, I'm home for a few months so I get a break and can be with my little boy again. I always miss him when I'm away, but grateful for Whatsapp and Skype so we stay close. I love Sweden, and have only been to the west once so I'm returning and this time, to Gothenburg and some small nearby towns, too. With Sweden on my radar, I had to share the home of textile designer because it's filled with such great color and pattern. It's very personal and unique. It's a three story home located in Västra Frölunda, just outside of Gothenburg where I will be. This designer shares the space with her husband and three children, and though you can't see all of the rooms here, you can get a feel for the home with the vignettes and corners shown. Aren't her drawings and paintings above on her office wall just stunning? I love how her home reflects her obvious connection and love for nature. It's so natural, relaxed and typical Swedish - to me at least. Be sure to where you can view her wallpaper, textiles and more. She's quite a talented lady! By the way, have you ever been to Gothenburg before? Any tips for me? I'll have 24 hours there alone, so if you can point me in the right direction, I'd be so happy!